I can remember the exact moment I became a Spurs fan. That moment has stuck with me ever since. Football was always something my Dad did. I used to watch him longingly out of the window, as he would walk to the train station to go to the game. I would ask my Mum, why couldn’t I go with him? Since then, my Dad has told me he couldn’t wait to take me to my first game but he wanted to wait for the right moment. Spurs has been the foundation of our relationship ever since. The day came: 12th of August 2002, 3 days after my 7th Birthday. A pre-season friendly against a Lazio team including players such as Filippo Inzaghi, Jaap Stam and Diego Simeone. Gary Doherty was on the front cover of the programme. None of that mattered to me. I was finally allowed to go to the football with my Dad. Glenn Hoddle was manager and Tottenham weren’t exactly at the peak of their powers. 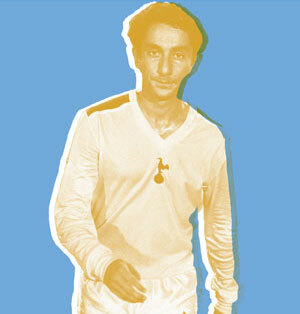 This is a big day for anyone, and I imagine most Spurs fans you talk to can remember their first game. The gravity of this day didn’t hit me when I was 7, but the fact I can remember it now with such clarity shows the effect that it had. The moment you first see the stadium out of the window of the train blows you away. But what clinched it for me, was walking up the steps to see the pitch for the first time. Gary Doherty was on the front cover of the programme. That moment, climbing the steep yellow stairs, only seeing the blue sky above you, and the rusting roof with a majestic golden cockerel perched upon it. That moment, when suddenly you see the hallowed turf of White Hart Lane for the first time. Like a bolt of lightning, it struck me. Every Spurs fan remembers their first game at White Hart Lane. Stories have been passed down through generations, about the good old days on the Shelf, standing behind the goal in the Park Lane, the peanut man in the East Stand. And we should not forget these. As we come to the end of our time at White Hart Lane as we know it, it is very easy to start feeling worried that we are losing something that is ours. A lot of fans are worried that this is the end of Tottenham the football club, and the beginning of Tottenham the corporate entertainment provider. The new stadium won’t be called White Hart Lane, and it has a cheese room and an £18,000 tunnel club. The rose-tinted nostalgia that we all feel, will make the last few games at White Hart Lane emotional, as we say goodbye to a place where we grew up. However, these shared memories won’t be forgotten. In fact, this is a time to be excited and look forward. Excitingly, we have the opportunity to enjoy the experience of a first game all over again. Walking up the steps in the gangway of the new stadium will be a moment that we will all remember. And it should be something we look forward to. The new stadium is an opportunity to exert our power as fans and make it our home. The queue for a beer won’t be as long either, which is an added bonus. Every Spurs fan remembers their first game at White Hart Lane. What make Spurs special is our identity. Even though White Hart Lane makes up a big part of that identity, we also have the power to form new identities, whilst reinforcing old ones. Questions of atmosphere won’t be a problem if we seize this opportunity and make the most of this glorious opportunity. As fans, we must be proactive and set the agenda. Particularly when it comes to something as important as the new stadium. The great work of the Supporters’ trust, combined with the lessons learnt from the mistakes of our rivals, makes me confident that this is a glorious opportunity. The south stand will be a place which we can make our home and create atmosphere. Safe-standing is on the political agenda, with Celtic having a lot of success with it. A European night, under the lights, with 17,000 behind the goal is something that would make the hairs on anyone’s neck stand up on end. 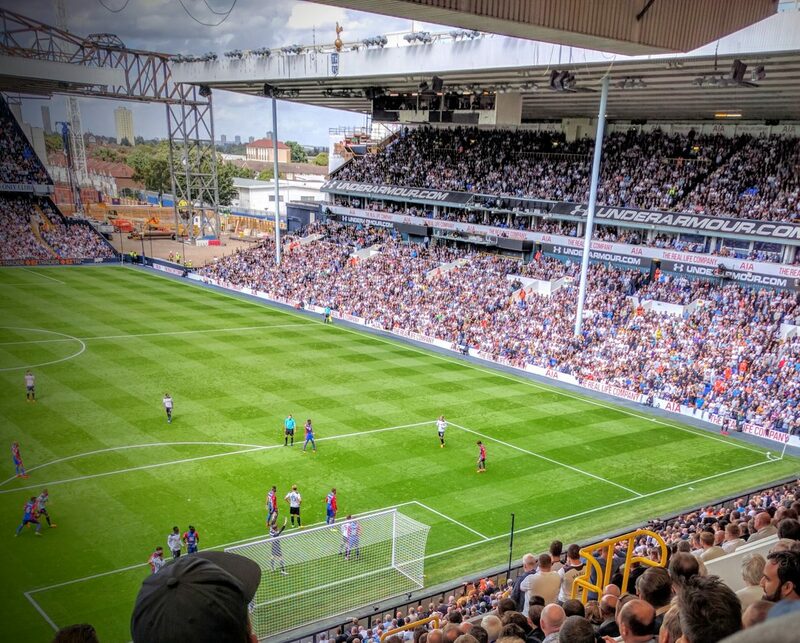 When we walk up those steps for the first time, and see the pitch open up in front of us, remember what it was that made you a Spurs fan. You cannot ever lose that. The new stadium is a great opportunity and something we should all be excited about. What a very nice article, so rare these days. It brought a tear to my eye, there must be many of us who remember the first sight of WHL from distance, the cockerel of course and the pitch, magnificent green with red cinder track outside. My first was exactly that, with my dad in 1968, first game of the season, gooners at home. It was a scorching Augusts afternoon, I was 11, my first day in long trousers (about to go to secondary school), it was sweltering, folk were passing out and being carried above our heads to pitch side. We lost 2-1, Phil Beal own goal. Lets hope my grandson (7 months old now) gets that same unforgettable experience at our new home, but with a spurs win of course. COYS!